It took two months, but Boystown resident Ted Rosinus has finally received a response to a letter he sent to local alderman Tom Tunney on September 10th. 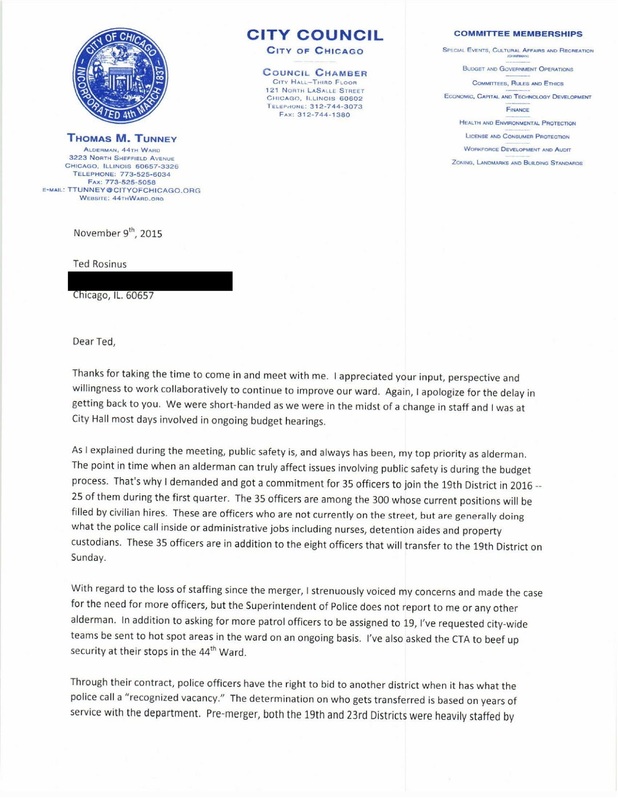 The respectful letter asked questions about the alderman's handling of crime and policing issues in the 44th ward. After not receiving an answer to his first letter, Rosinus hand-delivered a follow-up note that was co-signed by 333 others via an online petition that has since garnered a total of 498 signatures. Ted is now hoping to revive the Belmont Harbor Neighbors community group, which dissolved in 2014. He may be contacted via Twitter or email. I had a very productive meeting with Alderman Tunney and [staff members]. The meeting lasted more than one hour and believe me when I tell you, I was "one tough (but fair) customer." I thought the meeting was productive and in my estimation the Alderman's office is taking the issue seriously. I informed the Alderman that I will continue to monitor and track the progress on two main initiatives: 1) CPD staffing in our Ward; and 2) crime in our Ward. I made it clear to the Alderman that deterioration in either area would beget another letter. At the end of our meeting I requested that the Alderman write a formal response to all of us who signed our letters. Simply put, a closed door meeting wasn't going to cut it. 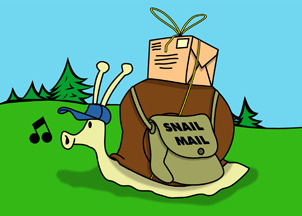 After all, almost 500 of you took the time to share your concerns and sign these letters with me. 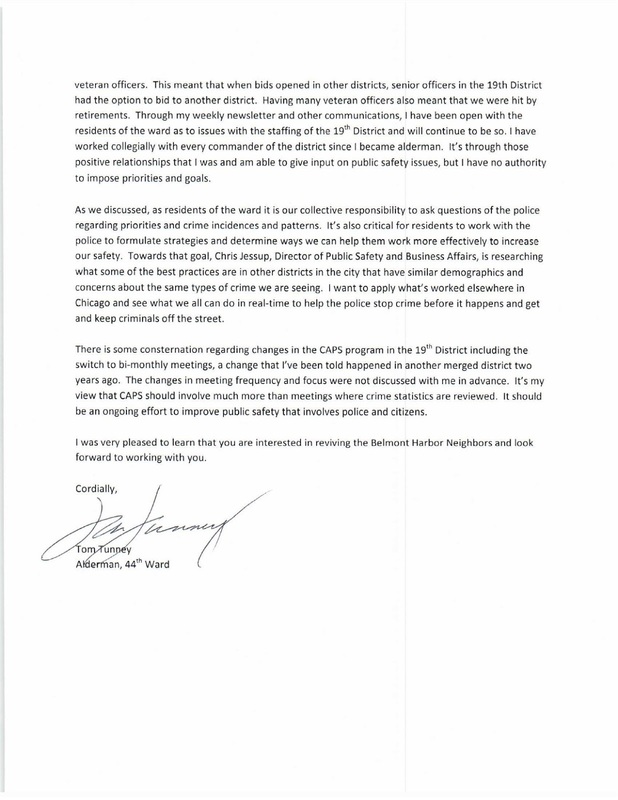 Please understand that [the alderman's] letter doesn't answer all of our questions or concerns, but it's a start. I will continue to remain involved and I hope that you join me.